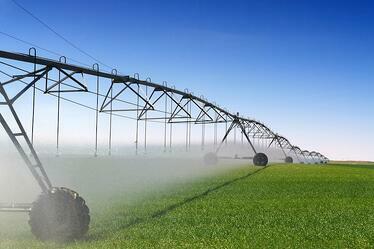 The leading usage for reclaimed water in the US is irrigation by 56.8%. In states where droughts are common, many residences and businesses have begun using reclaimed water for agriculture, landscape, public park, and golf course irrigation. For example, the Minnesota Twins baseball team has recently cut their water usage by more than 50 percent through water reuse. Another common use for treated water is to recharge aquifers, which accounts for 12.8% of reclaimed water usage in the US. By refilling these aquifers, the local water table is replenished and vegetation is hydrated, while also further filtering the treated water into freshwater. Coming in at 10%, "industrial uses," such as processing water in plants and mills, and water for concrete mixing is another prominent use for reclaimed water. This treated water provides a sustainable, long-term solution to better meet industrial water needs. Through high level treatment, such as reverse osmosis, waste water can be further purified into pure drinking water. In fact, Australia predicts that Perth will soon source 20% of its drinking water from reclaimed sources. Last but not least, reclaimed water is often used as an inexpensive source of cooling water for power plants and oil refineries. In fact, El Paso Water Utilities estimates that this accounts for 36.6% of reclaimed water sold annually. The past few decades have seen a dramatic growth in the understanding and efficiency of water reclamation. From life changing irrigation programs, to the state of the art plants behind potable water, reclamation has proven to be the future of water sourcing. At Harn R/O Systems, we do not only foresee this future, but are helping to build it with our highest quality reverse osmosis systems. To learn more about the environmental and financial benefits of installing a quality water reclamation system, contact us today.